Preheat oven to 400°F. 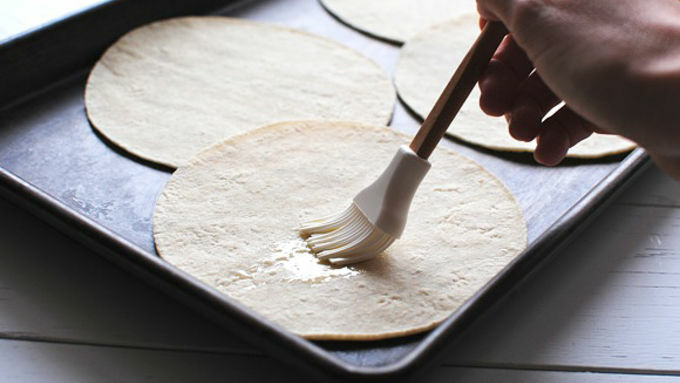 Lightly brush the corn tortillas with the oil. Cooking spray is fine too. Arrange them on a rimmed baking sheet and bake for 4 minutes on one side. Flip and bake 4 more minutes, or until crispy. Set aside. 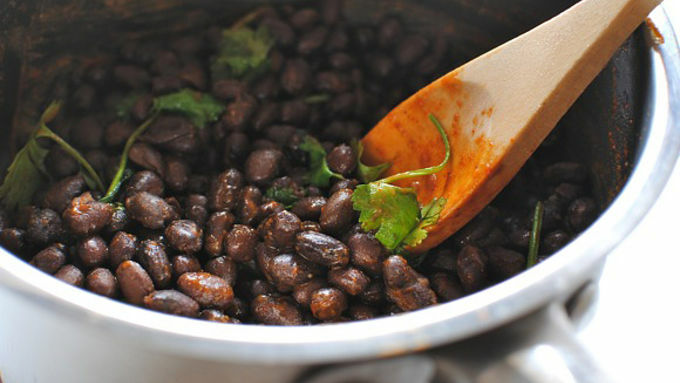 In a small saucepan, bring the beans to a medium-low heat. Add the taco seasoning, a few of the cilantro leaves and a good pinch of salt. Toss to combine. Keep it on low while you make the rest of the meal. Bring a large skillet to a medium heat. 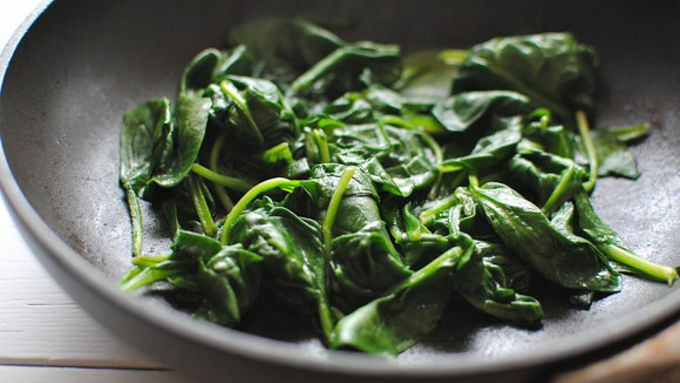 Add the spinach and toss to wilt, 2 minutes. 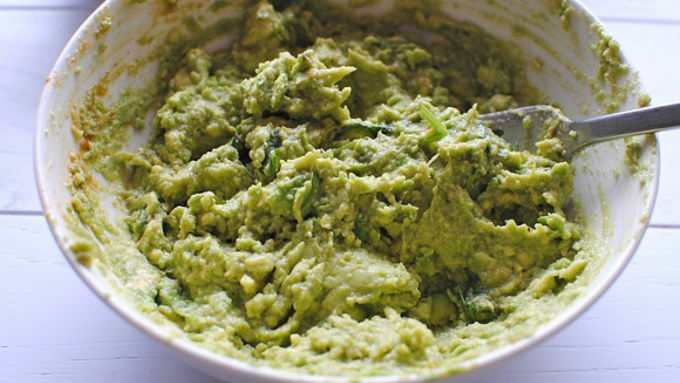 In a small bowl, add the two avocados, the rest of the cilantro, about 2 tbs. of the lime juice, another pinch of taco seasoning, and a pinch of salt. Mash until you get a smooth guacamole. 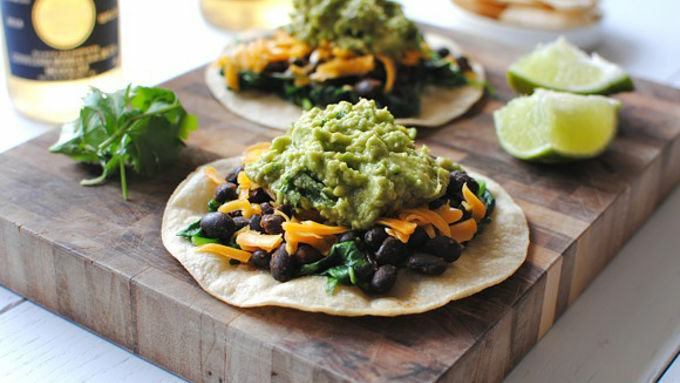 Layer a little of the spinach on each crispy tortilla. Top with seasoned beans, shredded cheese and a dollop of guacamole. Serve immediately! You know how we all live our lives? How we get up every morning and have coffee and make decisions and go to the store and pet our dog and make the bed and change the oil on our cars and watch TV and take showers and go to bed? You know how we do all of that? Okay. Now, imagine all of that, but naked. I'M JUST KIDDING. I have no idea. I'm sorry. Anyway, imagine all of that, but let's add something to the mix. I'm just gonna say it. Actually I'm going to scream it at you. 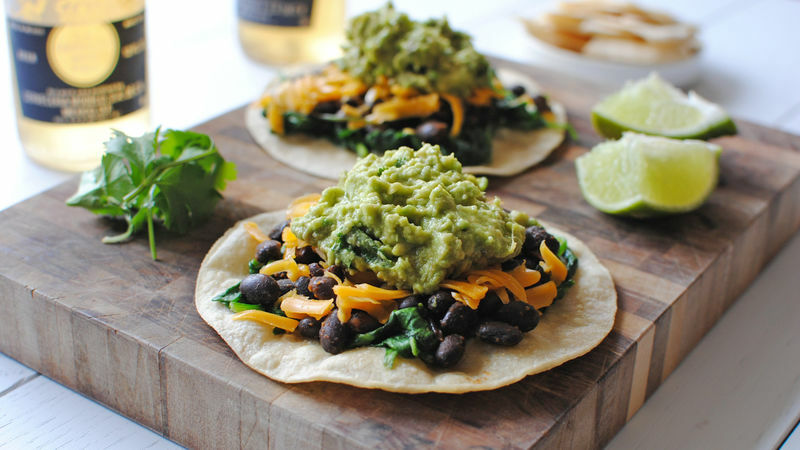 EASY SPINACH, BLACK BEAN AND GUACAMOLE TOSTADAS. No serrrrrrsly, the quickest, easiest, meatless, no fuss Mexican snacks! Just put 'em all together! Stack stack stack, adore adore adore. Inhale inhale inhale. Uh huh. Easy Mexican Meals Need even more Mexican-inspired dishes? Here ya go!